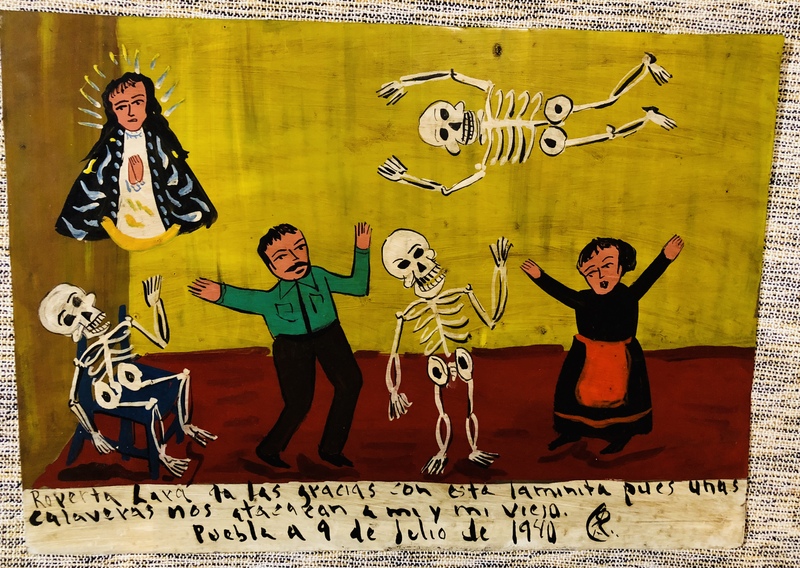 Mexico’s Ex-Votos are collectible naive folk art that tell a story of thanksgiving for being saved from near-death or disaster. Yes, it was a miracle to survive. Usually, the person who escaped tragedy would hire a local artist to paint a tin square depicting the scene. The message of thanks may have included many misspellings, as the painters were not educated. They often include depictions of the saint to whom the supplicant is sending prayers of thanks. Three of the exvotos are reproductions by famed Mexico City artist Rafael Rodriguez. One is a vintage piece dating from the 1950’s, acquired from a collector friend. 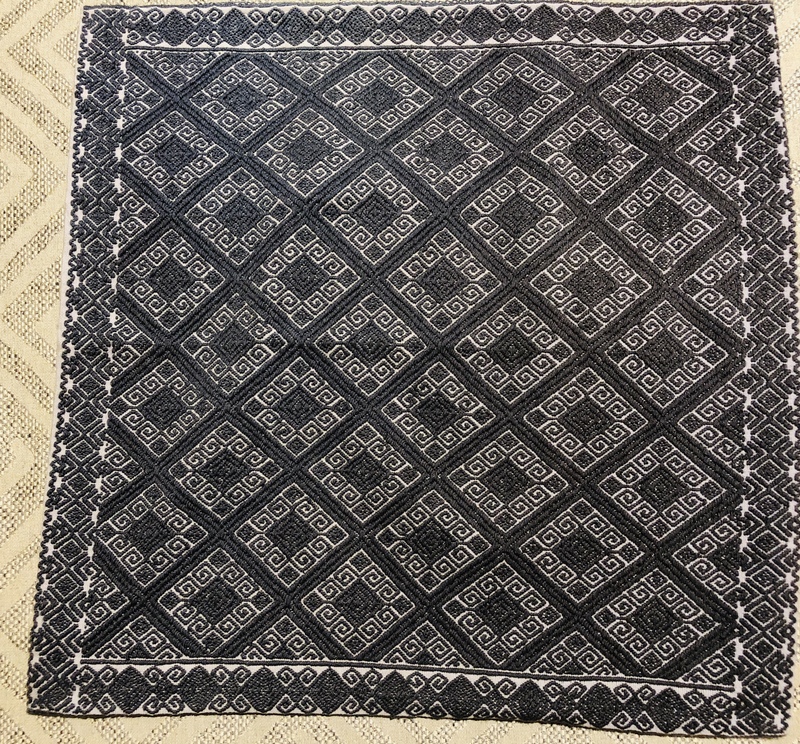 To Buy: Send me an email and tell me which piece(s) you want indicating the number of the item, your name and mailing address. I will send you a PayPal invoice and add-on $8 USD for USPS priority mail if you are in the lower 48 states. Time sensitive. Purchases must be made by Monday, December 10, 2018. I fly away to North Carolina on December 12, and I’ll need time to package for taking with me. 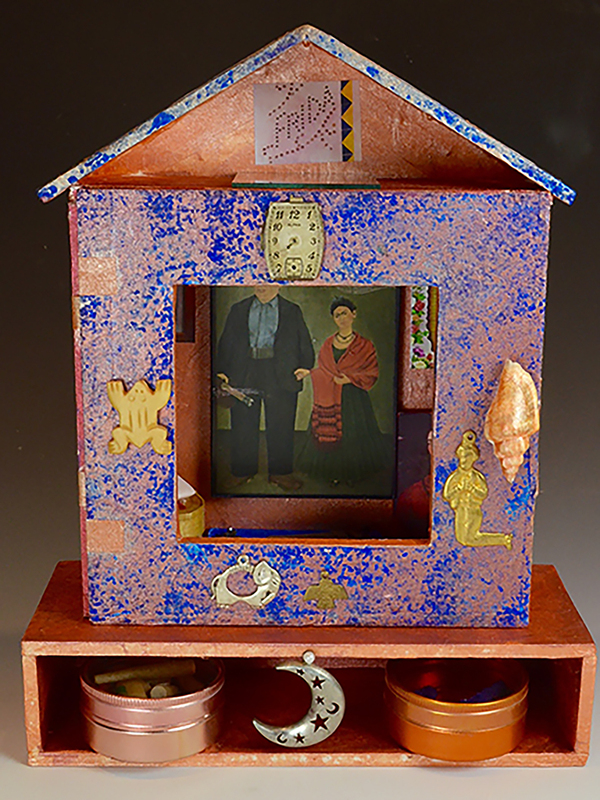 #2 is a reproduction by famed Mexico City exvoto artist Rafael Rodriguez, painted on tin. It measures 14-1/4″ x 10-1/4″ and says: Roperta Lara da las gracias con esta laminita pues unas calaveras nos atacaran a mi y mi vieja. Puebla, 9 de julio de 1940. Roperta Lara gives thanks with this plaque since the skeletons didn’t attack me and my old lady. 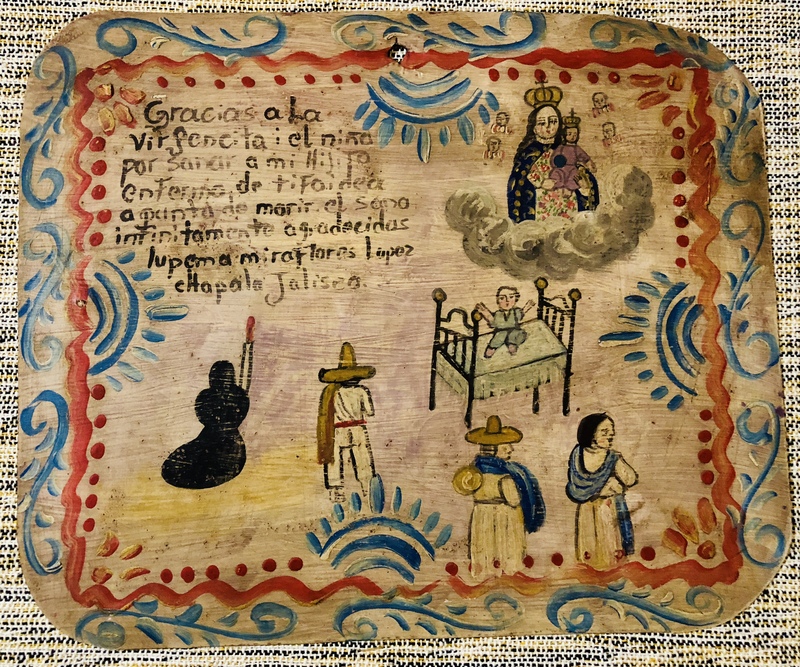 #3 is a reproduction by famed Mexico City exvoto artist Rafael Rodriguez. 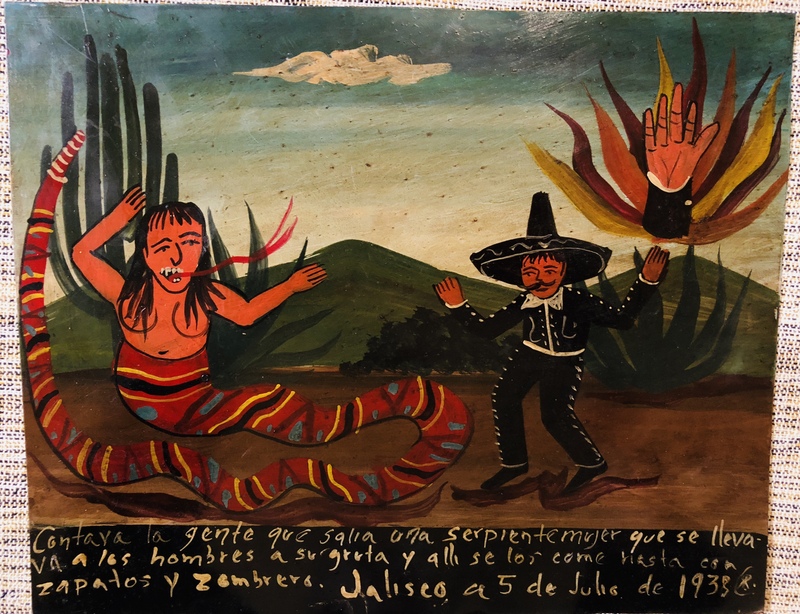 It measures 12″ x 9-3/4″ and says: Contava la gente que salia una serpiente mujer que se lleva va a los hombres a su gruta y alli se los come hasta con zapatos y zombrero. Jalisco a 5 de Julio de 1938. Saved from Contava the snake woman who comes out of her cave and captures men and eats them, except for their shoes and hat. 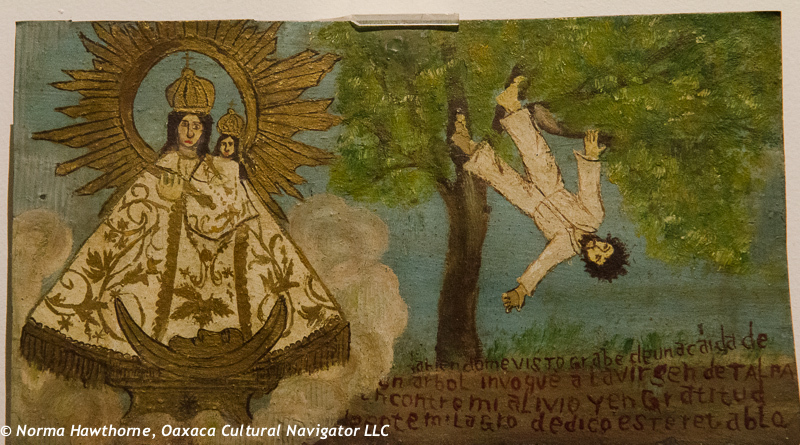 #4 is an exvoto reproduction by Mexico City artist Rafael Rodriguez. It measures 10″ x 7-1/2″ and says: Rufina Estrada dedica esta laminita porque me salve de la huesuda. San Luis, a 11 de enero 1939. Rufina Estrada dedicates this plaque because she was saved from death. San Luis, January 11, 1939. 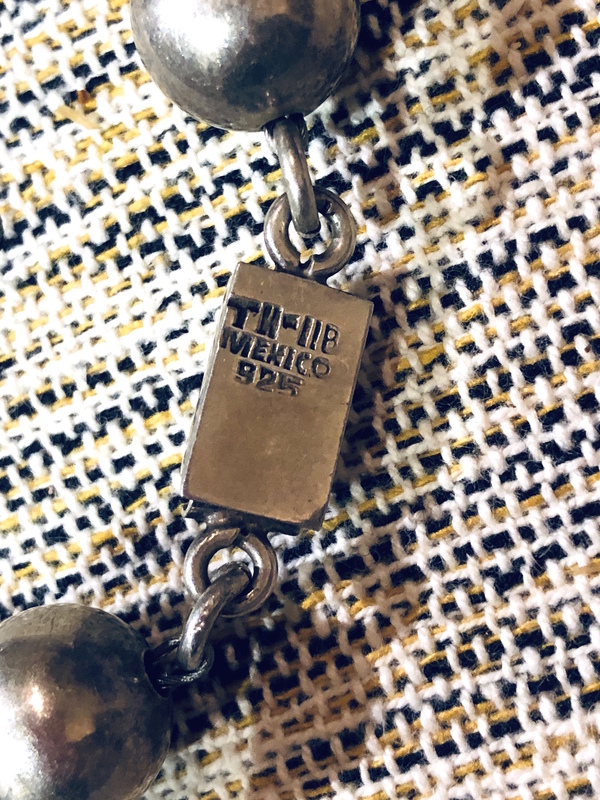 #5 is a rare necklace, attributed to Patzcuaro, Michoacan, according to famous Oaxaca jeweler Federico, from whom I bought this some years ago. The beads are vintage, rare and collectible Venetian glass trade beads called White Hearts, brought to the Americas by Cortes. There are 15 handmade silver Virgin of Soledad (?) 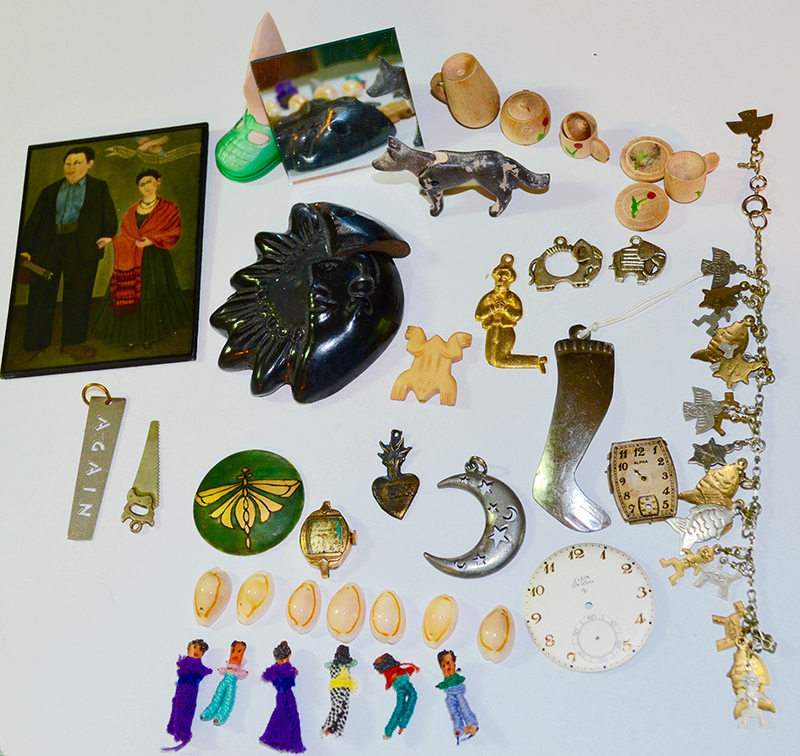 pendants, each 1-1/2″ long by 7/8″ wide. 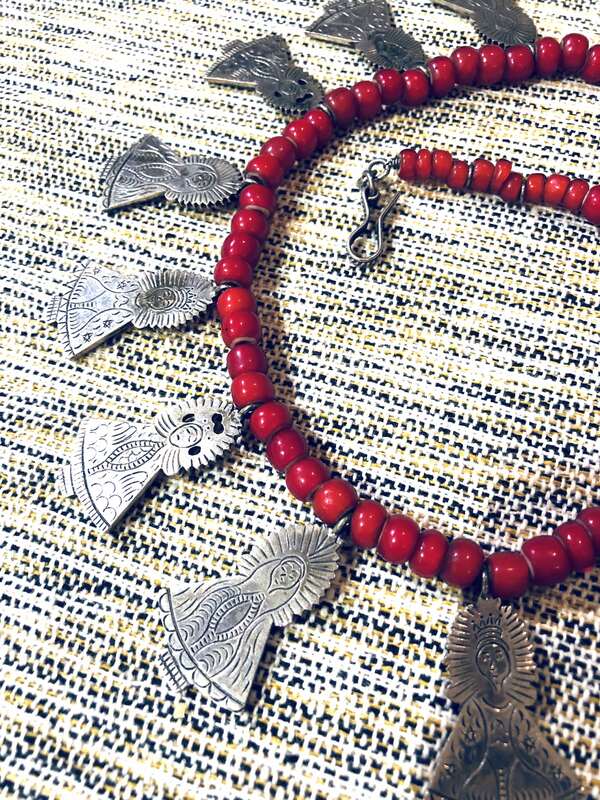 Pendants have various designs. 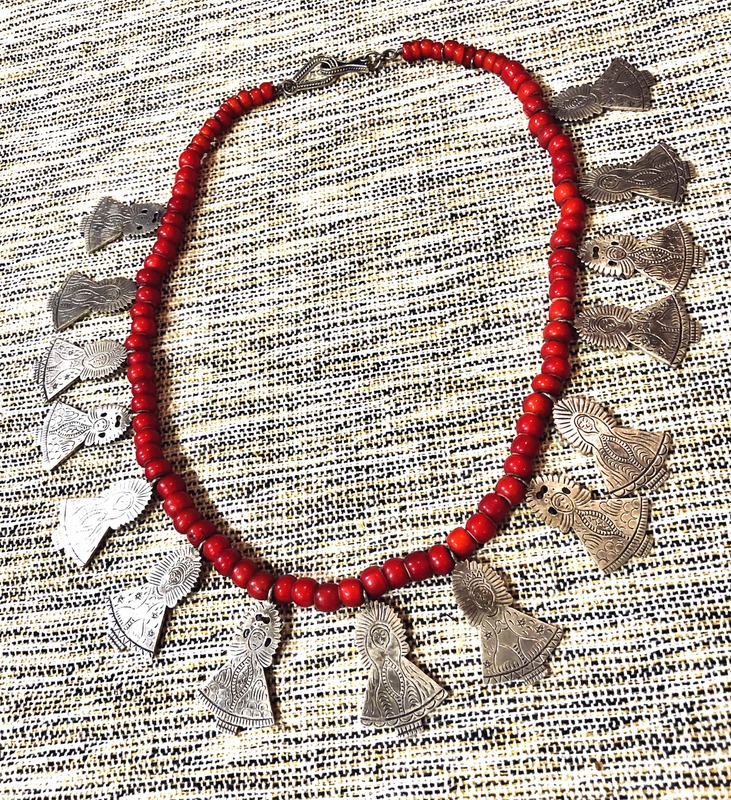 The necklace is 20″ long. An outstanding piece. 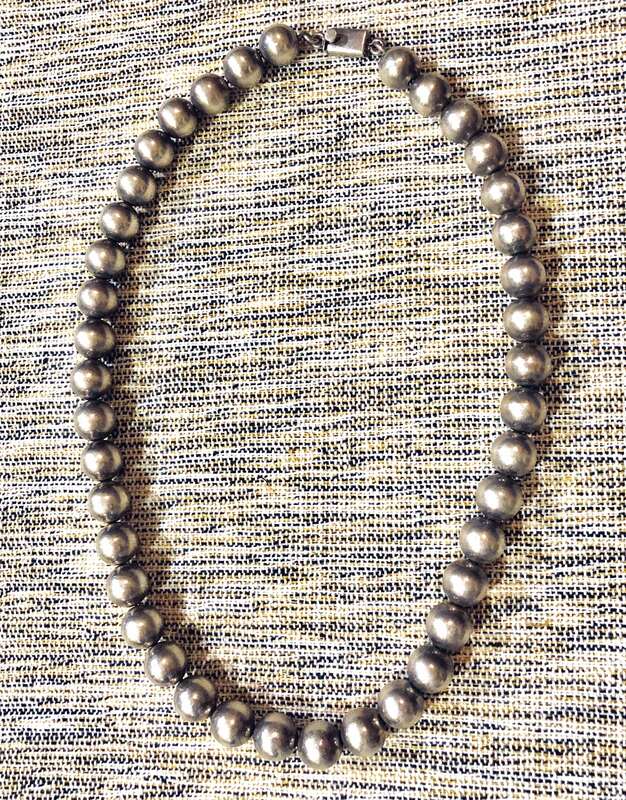 #6 is one of those unusual finds, 40 perfectly formed 15 mm beads made in the heyday of Taxco silversmithing, probably from the 1960’s. 23-1/2″ long. I bought these beads in Puebla. 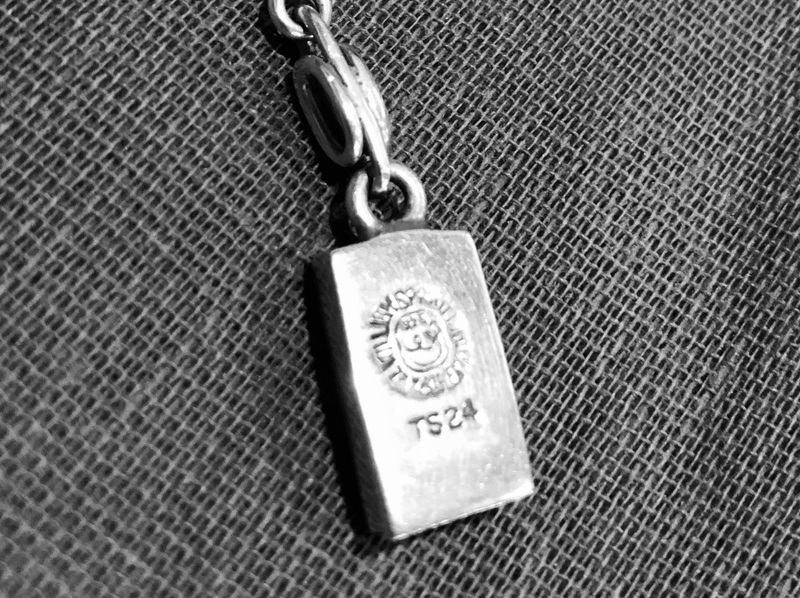 The chain broke and I had them restrung on very sturdy jewelers wire. 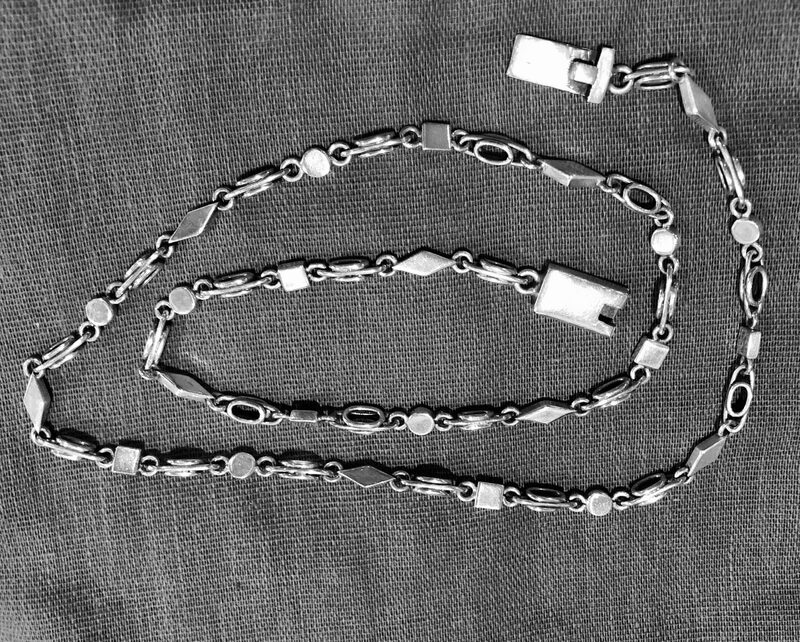 #8 is a new William Spratling sterling silver chain, made in the Spratling studios in Taxco, Guerrero, and is 22″ long. It is a contemporary piece cast from Spratling’s original molds by the Ulrich sisters, who own the famed franchise and whose father was Spratling’s business partner before Spratling died. 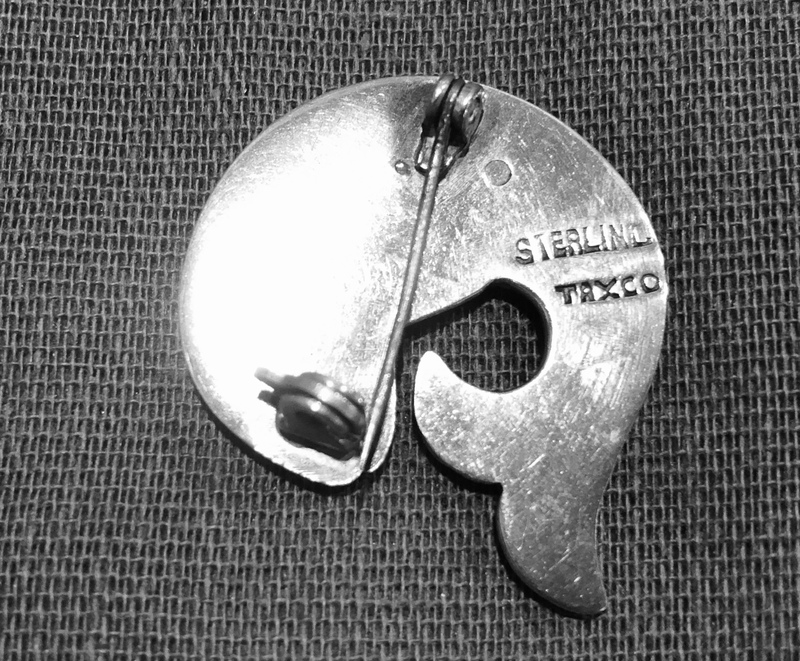 #9 is a perfect specimen of Taxco silver and inlay mastery, from the 60’s or 70’s. 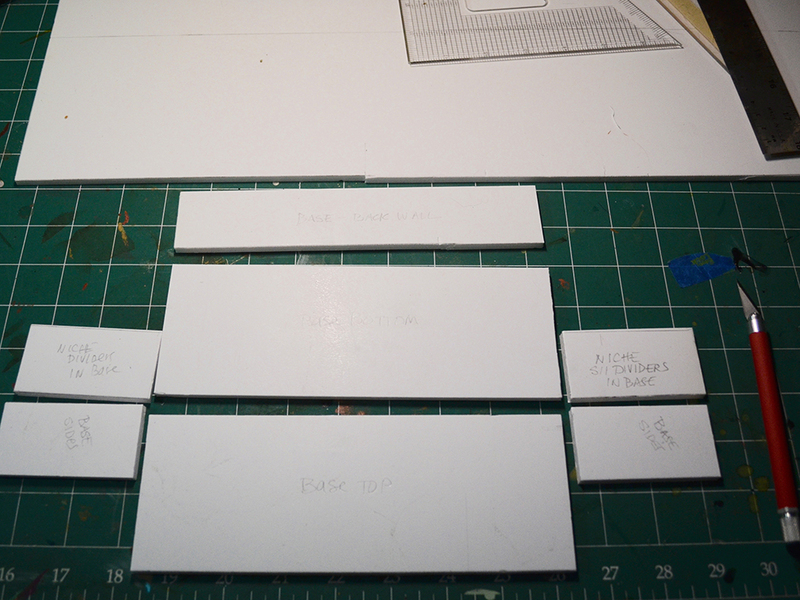 1-1/4″ wide by 1″ high. The abalone shell glimmers and the silver work is pristine. 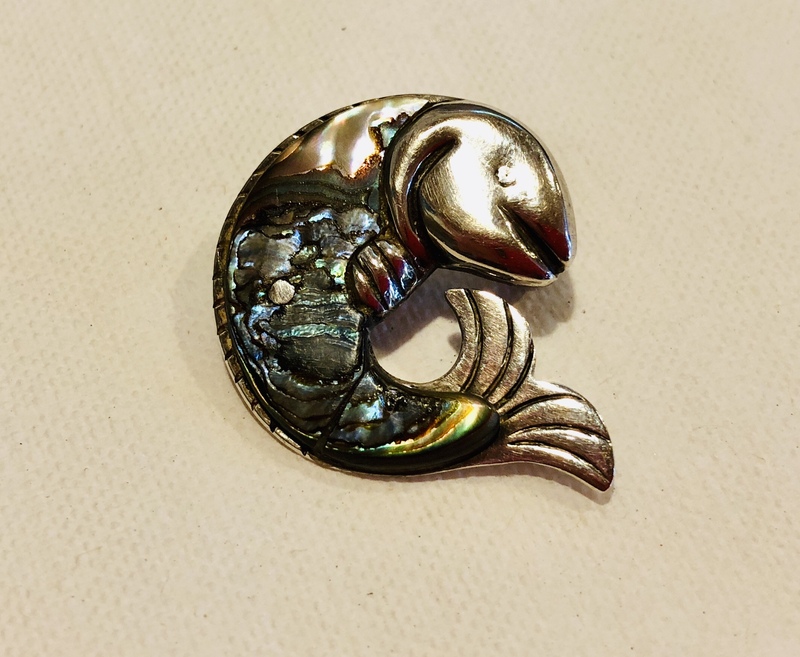 Fish pin, inlaid abalone on silver. Excellent. $95. 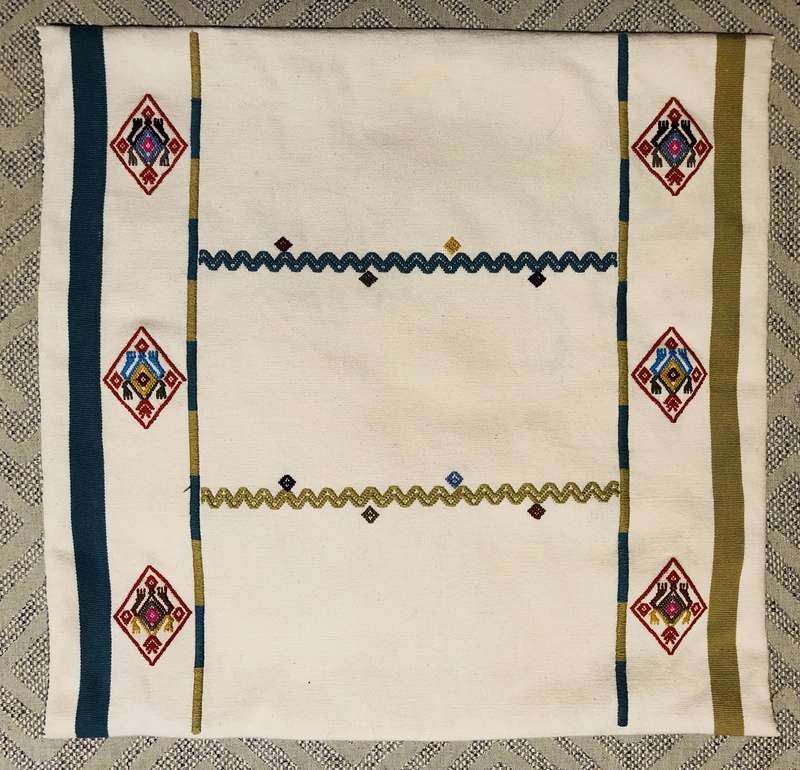 These pillow covers are woven by the famed cooperative El Camino de Los Altos by women who use back strap looms. 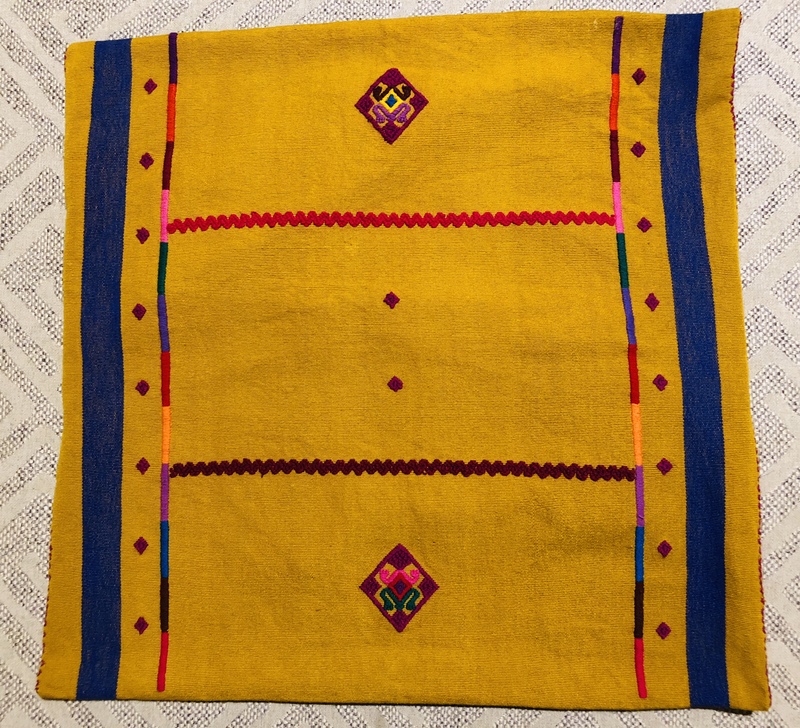 The designs are not embroidered, they are woven into the cloth. They each measure 17″ x 16-1/2″ and they are $35 each. 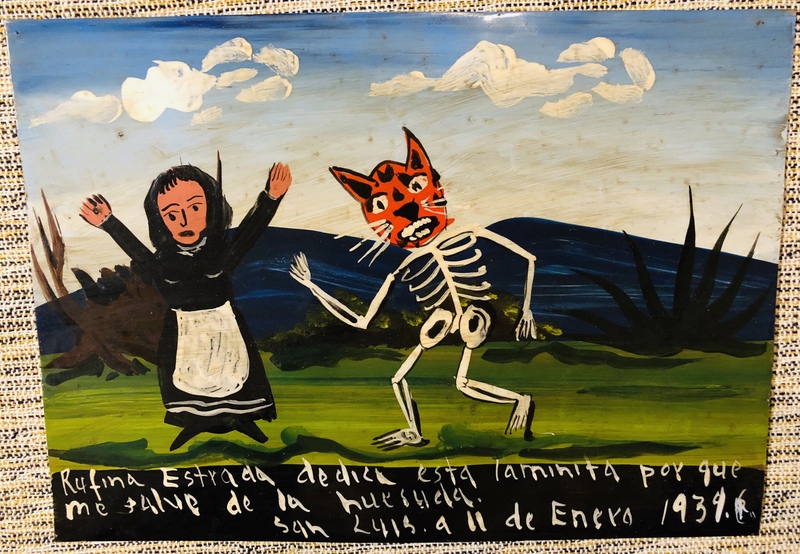 At Casa Azul in Coyoacan, Mexico City, one of the largest collections of folk art ex-votos (also called retablos) hangs along with pre-Columbian art and memorabilia collected by Frida Kahlo and Diego Rivera. They were avid supporters of artists who had no formal training but who represented the naive, populist art of Mexico. 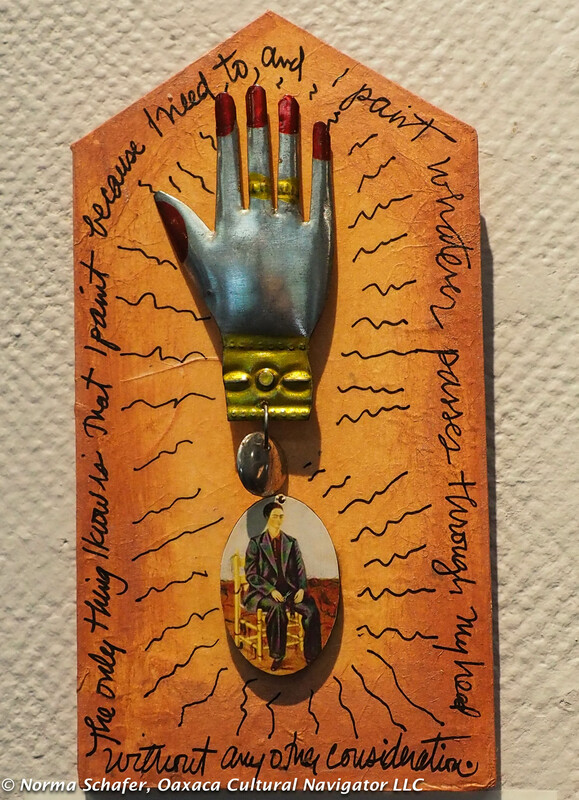 Ex-votos are small devotional paintings that offer thanks or prayers to a saint for a gift granted, wish fulfilled or for good health. It usually includes a hand-written note of gratitude at the bottom of the painting. 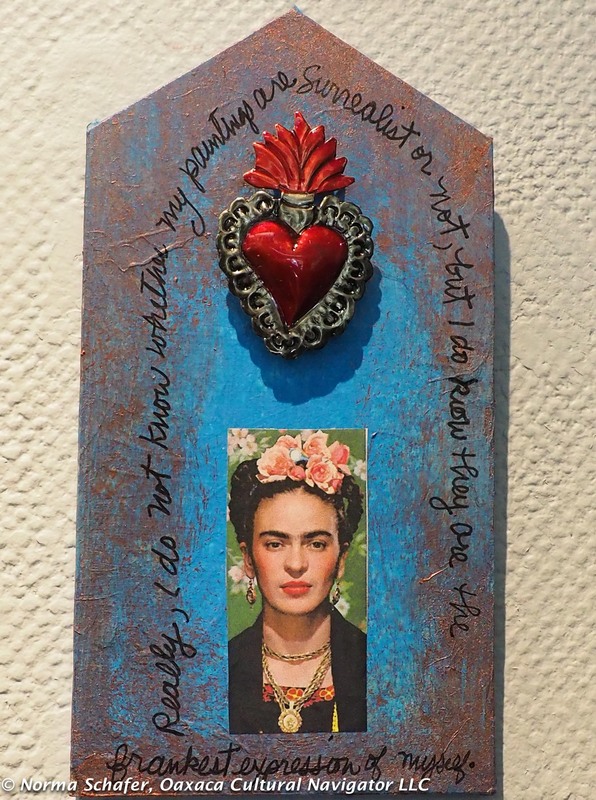 Hollie Taylor is a North Carolina artist who loves Mexico and Frida Kahlo. 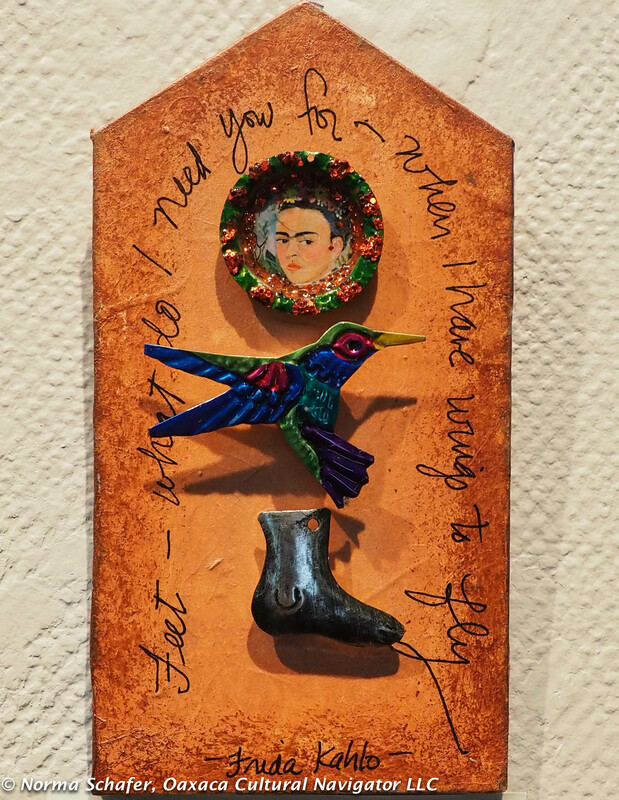 On Friday, April 8, the North Carolina Crafts Gallery in Carrboro, hosts an opening reception for Hollie and artist colleague Madelyn Smoak from 6-9 p.m., Dreaming of Frida: Hollie & Madelyn at Casa Azul. 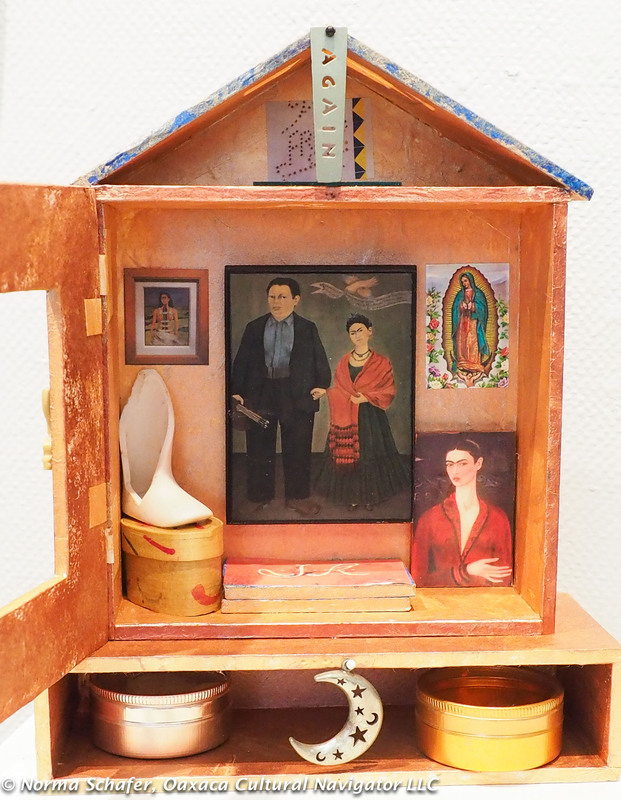 Hollie has adapted the ex-voto concept to offer thanks to Frida for her courage, strength, femininity, resolve and creativity by creating Frida Retablos. 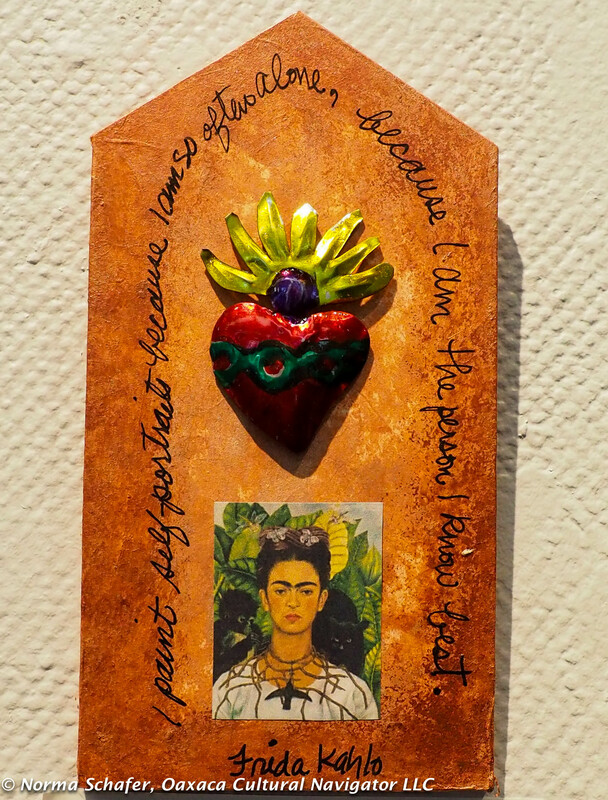 These are small devotional wall plaques with many of the icons and sayings that represent Frida Kahlo. 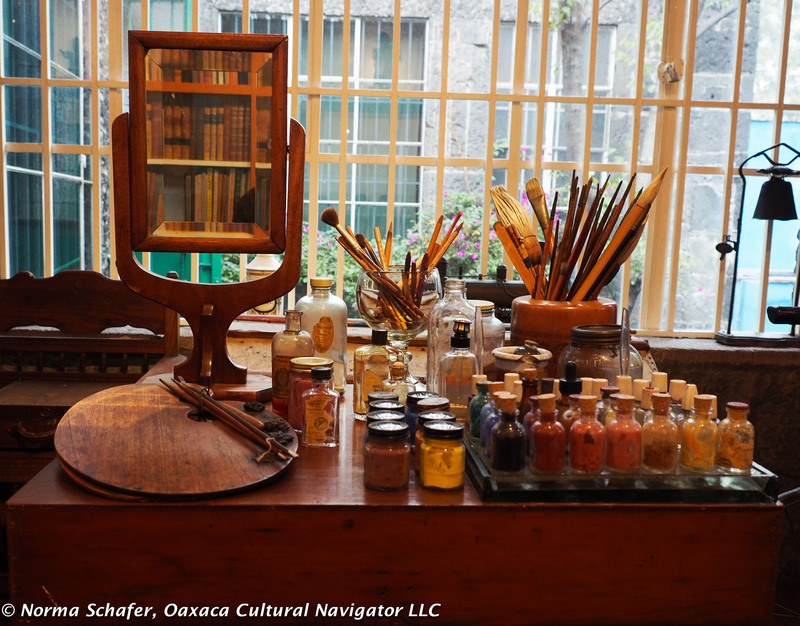 As we know, Frida’s health issues — childhood polio and a debilitating accident at age 18 that rendered it impossible for her body to carry a child — defined her and shaped her art. French artist Andre Breton named her a surrealist, a brand she refuted. She was a woman who painted her emotions and that is what makes her a great artist. We can identify with her pain, passion and joy. 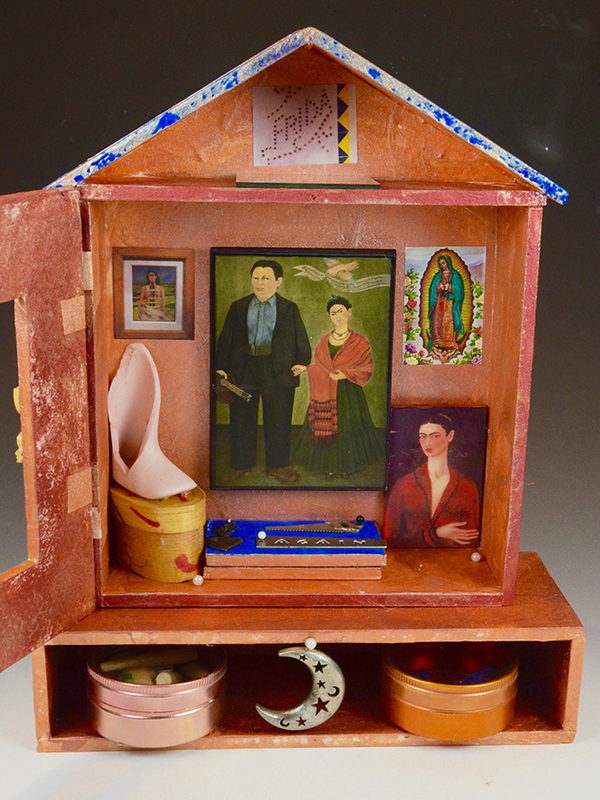 Hollie captures the spirit of Frida Kahlo in the retablos she created for this show. 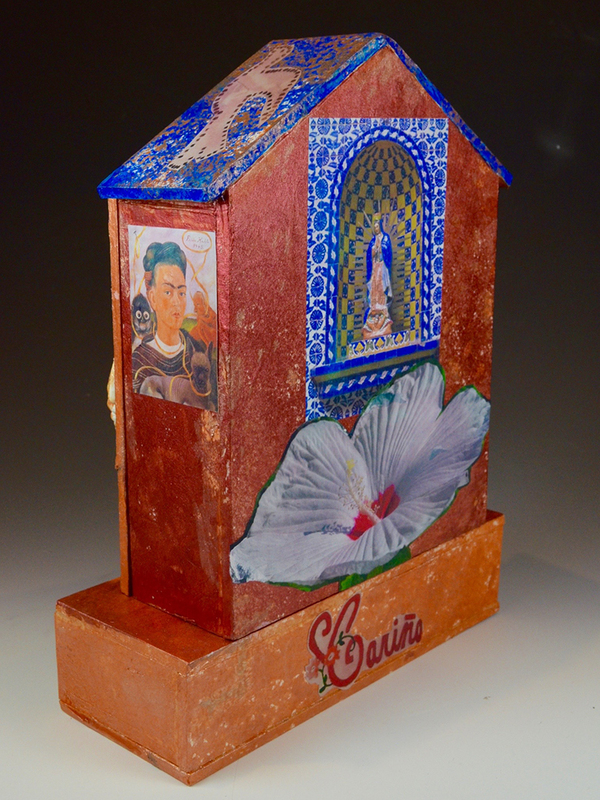 At the gallery, the retablos are offered at $58 USD. 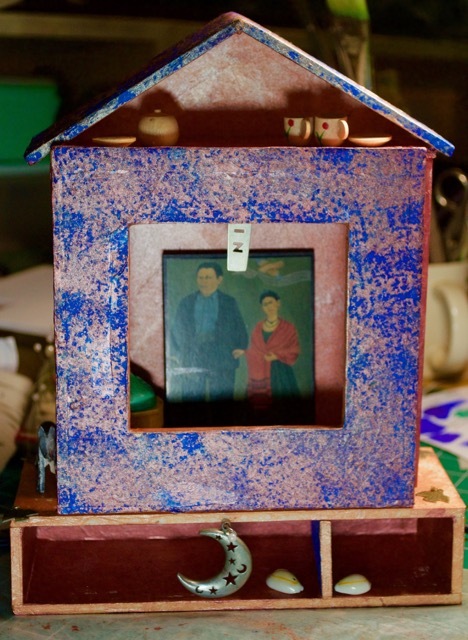 You can order your retablo from Hollie at a direct-from-artist price. 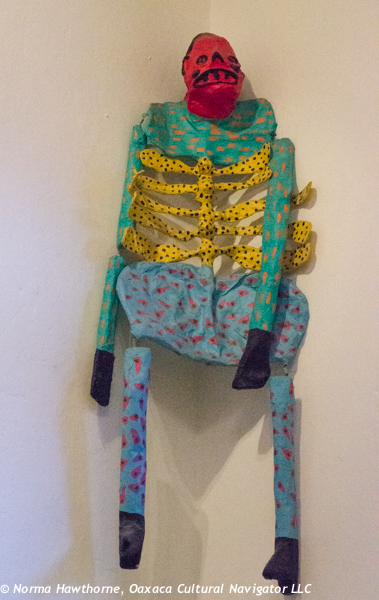 They are lightweight, ready for hanging, made from collected objects on hand-painted rice-paper covered foam core. 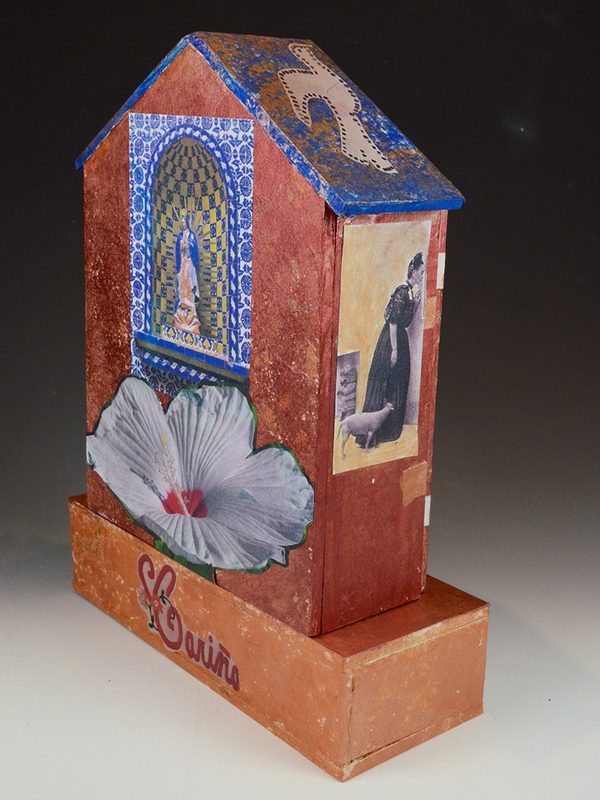 Hollie also teaches retablo workshops in her Chapel Hill home studio. Email her at hollietaylorart@icloud.com her for details about ordering and scheduling a workshop. Mexico is filled with altars that usually include sacred images and a Virgin of Guadalupe retablo. During Day of the Dead a family altar displays photographs of departed loved ones. We are taking this mixed media art workshop, based in Teotitlan del Valle, Oaxaca, Mexico, beyond the norm to create a three-dimensional altar suitable for display. 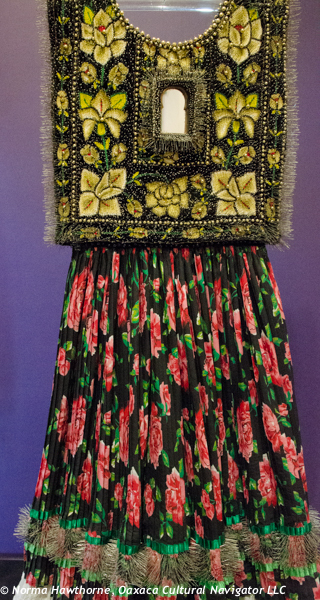 Frida Kahlo is our muse. Frida offers us inspiration for constructing an altar about life, womanhood, loved ones, family, health issues, successes and set-backs. We hold up Frida’s image, perhaps in self-reflection, to imagine her life and its challenges and to evoke meaning for our own. We then translate these concepts into an altar or shrine that can be used for wall art, to display on a surface or to design as a shelving unit for collected objects. Consider making this a self-portrait altar! Frida was an avid collector of exvotos and perhaps you would like to merge this simple expression of thanksgiving and devotion in your work, too. 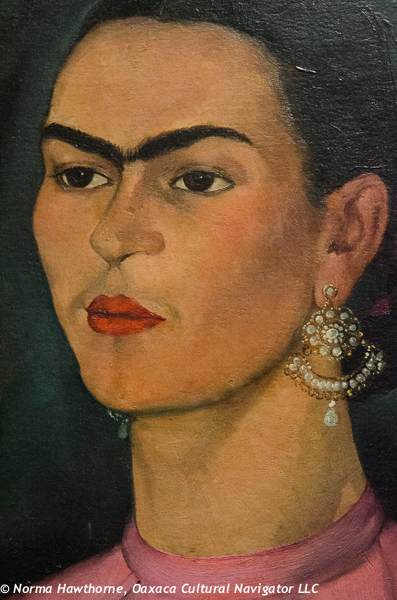 When we think of Frida Kahlo, we may conjure up many images and words to describe her: a woman of strength, power, frailty, independence, weakness, accomplishment, talent. Biographers say she was fierce, passionate, defiant, innovative, creative, vulnerable. We know she was deformed, in pain, proud. Your personal altar can be based on your own experience. 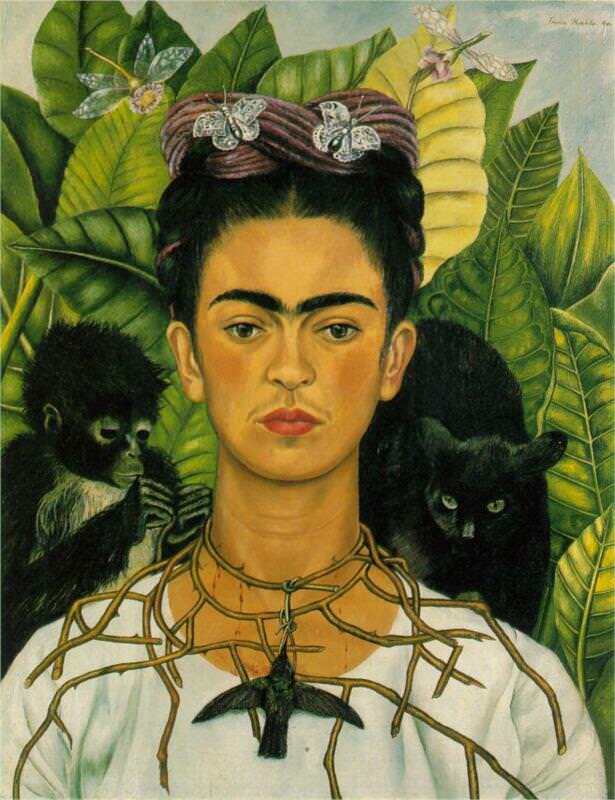 We embrace Frida as a metaphor to jump into a new creative realm. Your altar might be a tribute to someone you love who is living or passed on. 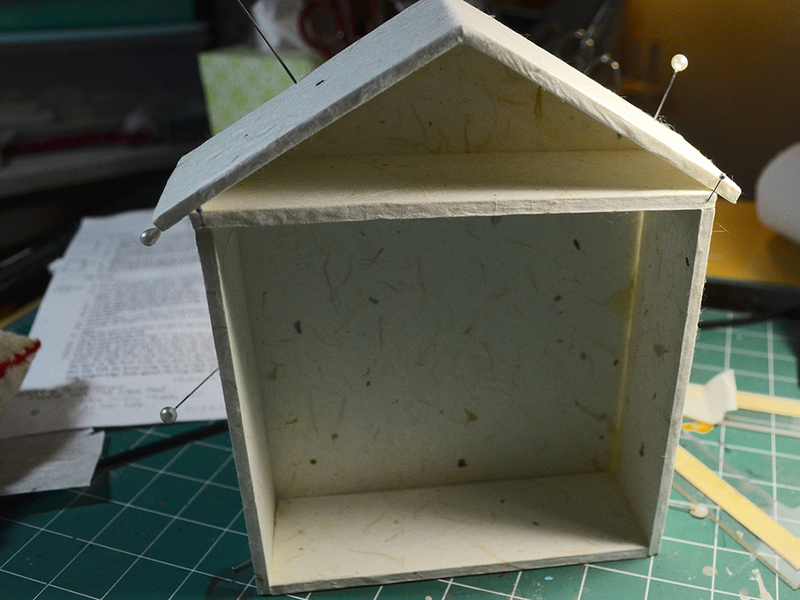 Your altar might contain a message to send or include as a gift. 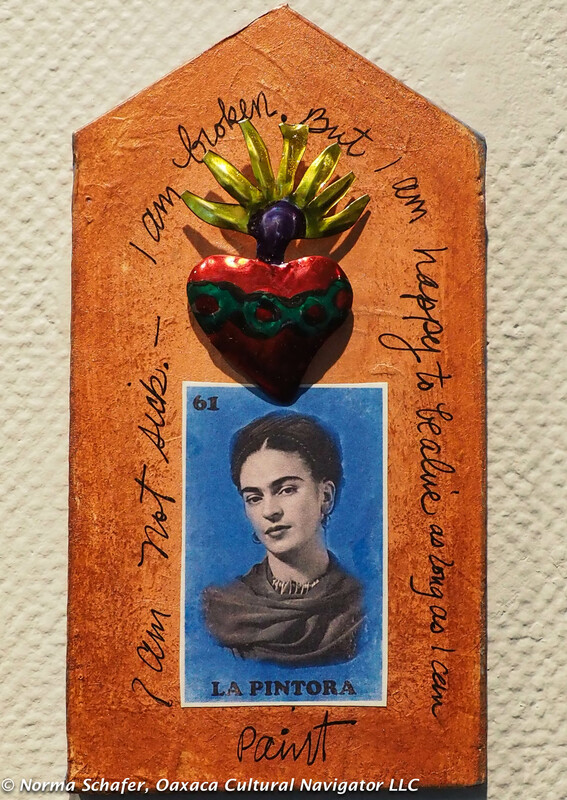 It can be about you, friends, family or Frida herself. Hollie Taylor earned the BFA from the University of North Carolina at Chapel Hill focusing on painting and printmaking. She then went on to the University of Georgia and received the MFA with a concentration in printmaking. Hollie taught drawing, printmaking, painting and ceramics at the college, middle and high school levels. 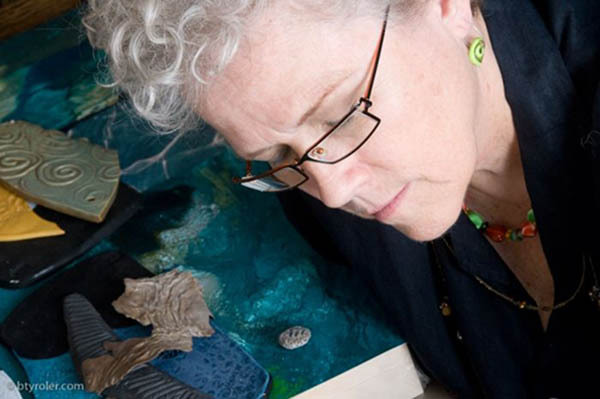 For over 20 years, she has taught adult workshops in handmade paper-making, screen-printing, woodcutting, photo-imaging on clay, ceramic hand-building, mixed media art and art journaling. She is a recipient of the North Carolina Museum of Art annual artist scholarship award. 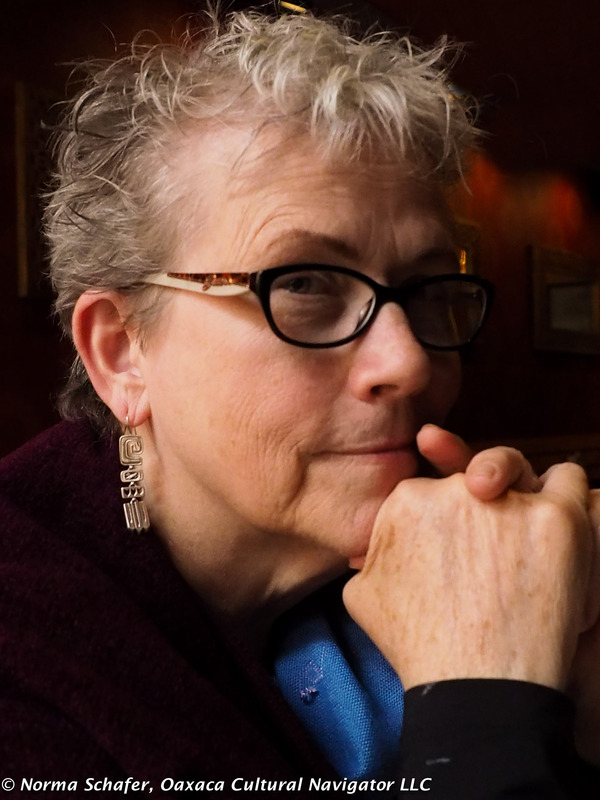 Her work is published in Art Voices South and The Village Rambler. She earned the prestigious National Board Certification for Teaching Excellence and her students placed repeatedly in national shows. 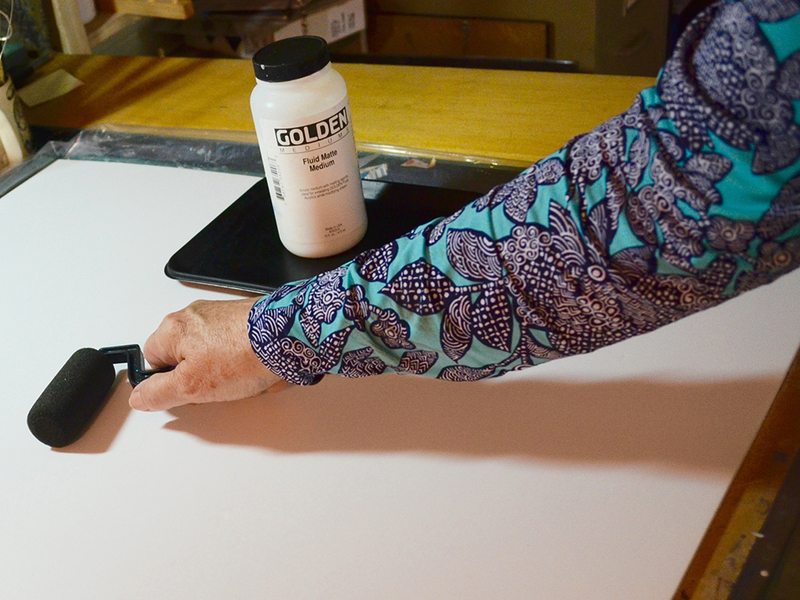 Hollie encourages deep personal exploration, offers demonstrations and samples of finished products. Art produced at her workshops is highly individualistic, broad ranging in style and expressive of the maker. Participants come to the table with varied past creative experiences and she accommodates fully for this range of novice to accomplished artist. She gives personal feedback and encouragement and holds informal discussions to compare intent with outcome, noting what has been learned. A workshop with Hollie is engaging and fun! A new project for Hollie involves making a book using found family letters and archival photos from Brazil during World War II. This will become a mixed media art show installation based on composites she is rendering in Photoshop to glean new meaning from the material. 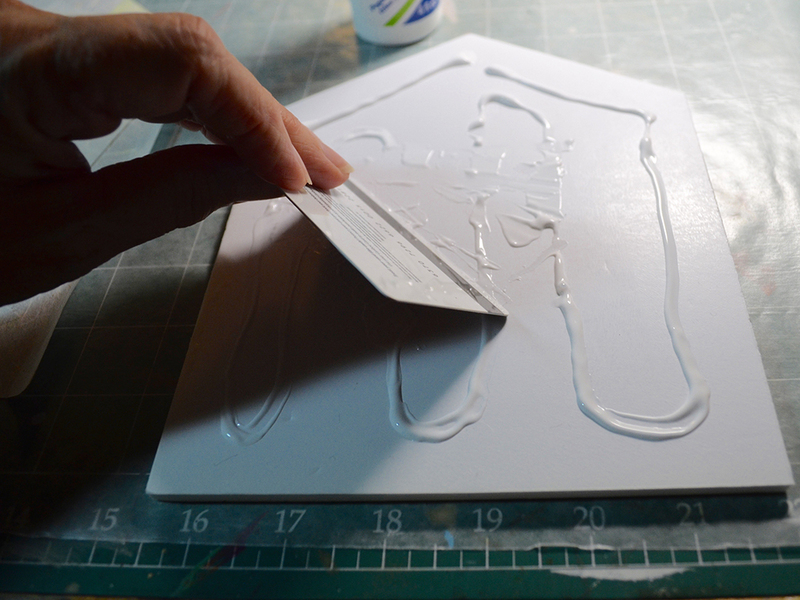 Using found objects, copies of photographs, paint, paper, memorabilia and embellishments, you will construct either a 8” x 10” three-dimensional sculptural piece or a 12” x 16” flat art wall piece. Materials We Provide: We provide step-by-step altar-making directions and construction materials, plus selected art supplies such as self-healing cutting mats, box cutters, some acrylic inks, assorted decorative papers, handmade clay medallions and selected ephemera art associated with Frida Kahlo. 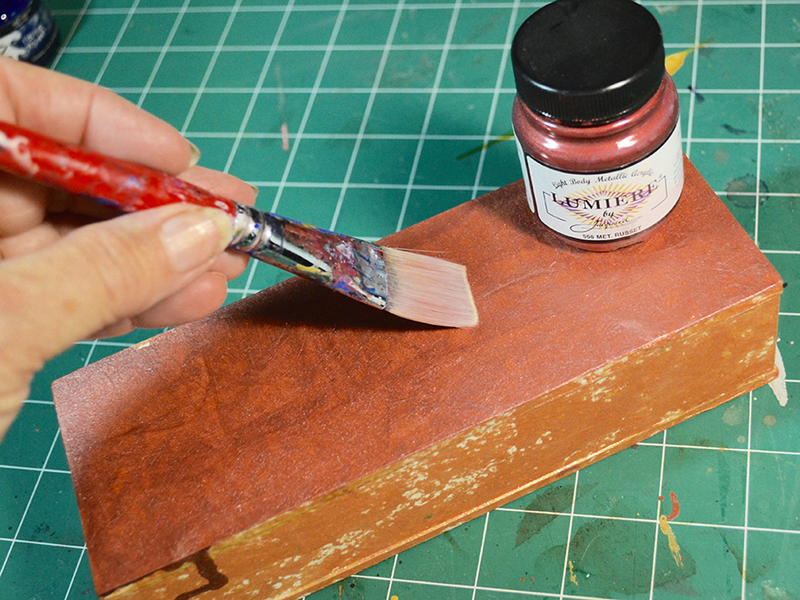 Materials To Bring: A sharp pencil, rubber bands, assorted size small brushes, embellishments such as stamps, charms, shells, milagros, copies of photographs, textiles. Try to imagine what will symbolize the different attribute’s of your altar’s theme and bring what will enhance its meaning. After you register, we will send you a complete list of supplementary supplies to bring. Participants often share for a wider range of choice. Resources: Hollie recommends Crafting Personal SHRINES, Using Photos, Mementos & Treasures to Create Artful Displays, by Carol Owen, Lark Books, 2004. 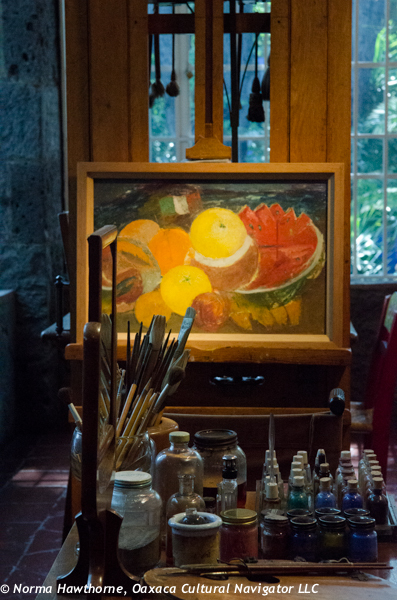 Day One, Thursday, February 25: We look at images of altars and sacred boxes, visit church and private home altars, and talk about Frida Kahlo – her style and what she valued. You will come with a concept for your creation, and with Hollie’s guidance you will finish the design and begin to build your project. Day Two, Friday, February 26: Continue to build your altar, wrapping it, painting it, and gluing it together to form a completed container for what will come next. You may also want to add a door and small shadow boxes to display memorabilia reflecting your concept. 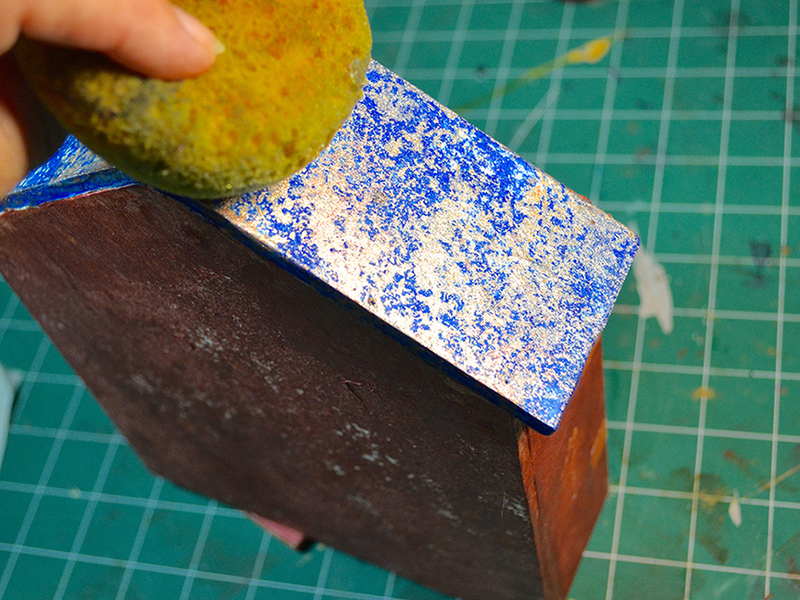 Rolling on Matte Medium to seal the foam core. Day Three, Saturday, February 27: Finish altar construction. Begin to decorate and embellish your altar with photos (copies), writing, drawing, found objects and memorabilia you have brought with you. Day Four, Sunday, February 28: You will add the finishing touches before we hang your finished work for a group show and presentation of your piece, followed by a grand finale mezcal margarita cocktail reception. Base Cost – Workshop Only: $495 per person, includes all instruction, materials to construct your altar or wall art, hand-outs, guided visits to family homes and churches for altar research, 4 lunches and cocktail reception. This option is designed for people who do not need lodging, and want to travel back and forth daily from Oaxaca city. Upgrade 1 – Workshop + Share Room: $665 per person shared room with private bath en suite. Includes all of the above plus 4 nights lodging, arriving on Wednesday, February 24 and departing Sunday, February 28 by 6 p.m. Includes 4 continental breakfasts. We assign rooms in order of registrations received. Contact us for availability. Upgrade 2 — Workshop and Private Room/Bath: $795. Includes all of the above. The workshop does NOT include airfare, taxes, tips, travel insurance, liquor or alcoholic beverages, some meals, and local transportation to and from Oaxaca city. 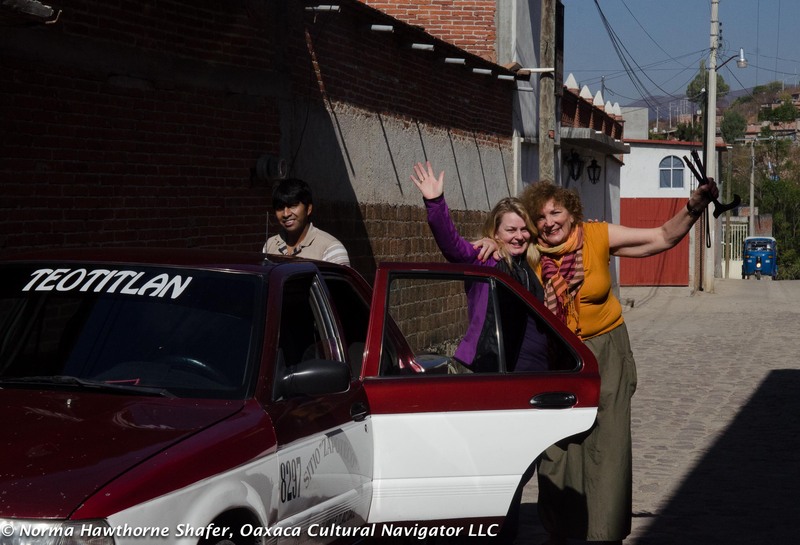 We can arrange taxi pick-up and return from/to the Oaxaca airport at your own expense (approximately 280 pesos). Reservations and Cancellations A 50% deposit is required to guarantee your spot. The last payment for the balance due (including any add-ons) shall be paid by January 6, 2016. We accept payment with PayPal only. We will send you an itemized invoice when you tell us you are ready to register. After January 6, refunds are not possible. You may send a substitute in your place. If you cancel before January 6, we will refund 50% of your deposit. Required–Travel Health/Accident Insurance: We require that you carry international accident/health/emergency evacuation insurance. Proof of insurance must be sent at least two weeks before departure. 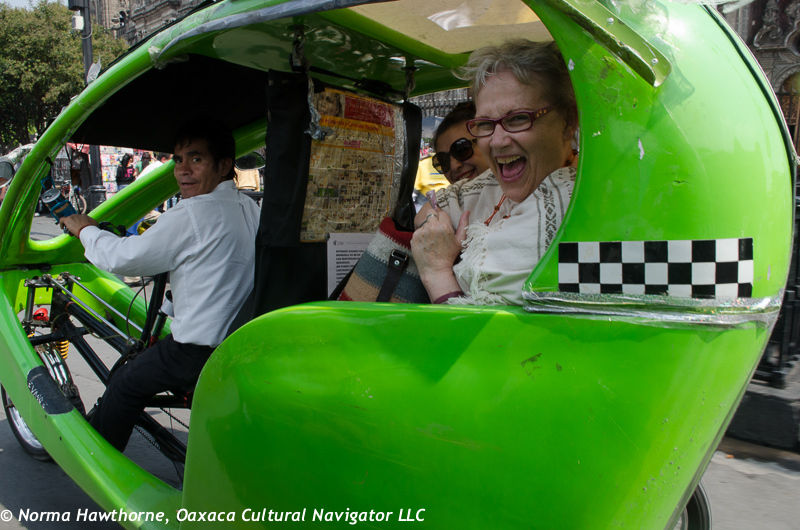 If you do not wish to do this, we ask you email a PDF of a witnessed waiver of responsibility, holding harmless Norma Hawthorne Schafer and Oaxaca Cultural Navigator LLC. Unforeseen circumstances happen!